There is an element of the MBA experience that gets lost in the noise of commentary on hours, deadlines, hand ins and team meetings. The full time MBA gives you back some time in your life to think. To think about what you want to do, to think about what you have done and to think about what makes you tick. Any perspective student should know the amount of hours required on the MBA programme is a often overhyped. MBA graduates you will meet remember the pinch situations where they had to work until the wee small hours of the morning for three nights in a row, or they remember a chronic three week period in semester 1 where they had 5 projects hanging over them. But the reality of the situation is that this is the exception rather than the rule. There is a steady flow of work that (if you keep on top of) is eminently manageable. The MBA experience gives you more time out then your current career. It is NOT like having a fulltime job and there IS an element of reliving that college experience where you used to have time to think, chat and pursue some new interests and side projects. As an entrepreneur I find this time invaluable. In the “real world” It’s hard to get time to think about new business ideas and exciting innovations. In the MBA bubble you can find that time again and more importantly, when you do find that time you are far better equipped to turn day dreams into realities should you choose to do so. You start refining your ideas from the minute they pop into your head, what are the barriers to entry? Is it an attractive Industry structure? What is the value proposition? How easily would this be imitated? Do you have access to resources required? It also helps that you now have 35 new people in your life that you can bounce ideas off and develop some thoughts you have had on your career, or a business idea or even a further course of study after the MBA (God forbid!). So don’t let talk of “surviving the MBA”, the “divorce course” and “say goodbye to your family for a year” influence your decision complete an MBA. It is challenging but doable, and if you are at a bit of a crossroads in life, the programme will give you the time and resources to figure out the grand plan for you. That plan will change daily by the way but at least you will be thinking about it…. It’s strange, even unnerving, to hear a CEO speak about society, about community, about the need to do not just what is profitable, but what is right. Last week our EMBA class heard from Niall Fitzgerald, former CEO of Unilever and corporate success par excellence, on how modern capitalism was failing because of a fundamental lack of values – and perhaps even a lack of morals. The title of his address, “You Can’t Have Successful Business in a Broken Society,” invited a certain level of skepticism among some of my more cynical classmates. I think it’s fair to say that most of us would see a certain degree of truth in the tired cliché, “nice guys finish last,” and that few would feel the modern corporate environment is a warm, fuzzy place where everyone just tries to be friendly and get along. But I would be confident that Mr. Fitzgerald’s central point reached even my most jaded colleagues – it’s not a question of whether businesses should be more ethical, but that they must be more ethical in order to survive. In this globalised world, short term approaches to growing profits, using resources or managing workers will simply no longer work, we were told. Gouging customers will merely open opportunities to more reasonable competitors. Today’s factory workers in low-cost economies are also the consumer class of tomorrow’s growth markets. And as for reckless exploitation of the environment – if China’s population were to reach a Western standard of living at today’s rate of resource usage, we will need nine more Earths to meet this demand. Clearly, if a business (never mind humanity) is to survive in the 21st Century, a long-term approach is needed. Having listened to Mr. Fitzgerald’s address, I don’t think any of my classmates can now doubt his central point. If anything, I think, his cornerstone argument in favour of a long-term, responsible approach to the challenges of the modern era needs to be widened beyond business, to encompass society as a whole. After all, during the boom period in Ireland until 2007, the very banks who are now pilloried for being reckless were being criticised for not giving out enough mortgages. Undoubtedly, business in the West needs to take a good long look at itself. But the same might be said of society in general. The Carnet Alliance is a group of 12 business schools, including UCD Smurfit Business School, which develops links between employers, students and schools. Recently, I participated in The Global Talent Day, an event organised by EDHEC in Paris, France, with the help of my Career Manager. The event brought together business schools from Ireland, France, England, Spain, Germany, Belgium, Italy and Scotland to meet with French companies including L’Oréal, Sodexo and Imerys. As well as attending a series of company presentations, the event provided an opportunity to discover a wide range of sectors through roundtable discussions and question and answer sessions. Through meeting other students, developing new branches of networks, and obtaining feedback from a recruiting firm, I gained direct contact to domestic firms and took advantage of the multi-national event. I made the most of the network with the help of Smurfit. Coaching provides a safe space for MBA participants to explore challenges that may be causing interference by focusing on personal development in a programme that is by nature competitive and challenging. It allows space for thinking, reflection and exploring more of the emotional intelligence aspect of leadership. Now in my second year of coaching MBA participants at UCD Smurfit, I have found the participants to be very smart people from a range of countries, backgrounds and industries. At the heart of the coaching work that I do is a conversation. This conversation is led by the coachee’s agenda and my primary role is to listen and understand the coachee’s story. That story can include career development, values, patterns in their working life, motivation, managing stress and managing opportunities. For the coachee, the sessions provide time and space to talk out loud about what is top of mind for them, in other words what is their inner game. We all have an inner game, so exploring aspects of this with a coach allows the coachee to bring into focus what they are thinking about and how they can work on it. Working with a coach, they explore reality, look at goals for the short term and longer, explore options for change and agree on actions for the future. The beauty of the programme is that each coachee has access to three coaching sessions, which allows time for the coaching relationship to develop, for reflection, for actions to take place and be reviewed, and for themes to emerge. As we start 2014 I am looking forward to my coaching sessions in the coming weeks with the MBA participants. I am excited about what actions they have taken since their last coaching session and what new challenges and opportunities we will be working on together over the coming months. Pamela Fay is a business and executive coach. 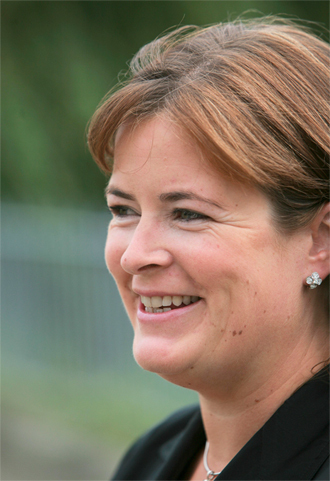 Pamela has run her own business for ten years and qualified in 2009 as a coach. Not many people would understand what the title above means, but to any UCD MBA student, it conveys insight into my qualities as a group member and a leader. Our Wednesdays have been packed with psychometric tests and learning resources, through the Leadership Development and Careers Programmes, intended to guide us through our pursuits of new roles and new industries as we develop into leaders post-MBA. Other blog entries have discussed the activities of the first week, when we discovered a little about how we function in groups, and animals and colours were assigned to our individual qualities. Inevitably, my results provided me the least endearing animal possible: the Peacock. During a more recent Wednesday, we explored the Strength Deployment Inventory (SDI). This tool encouraged us to think about our motivational system, our behaviour, our strengths, and the ways in which we respond to conflict in a team setting. As Wednesdays go, given the introspective nature of the tasks and the need to discuss others’ strengths/weaknesses, this was the most emotionally exhausting. From SDI, the most interesting insight I gained into leadership was the fact that “assertive” (red) leaders are not necessarily the most effective: that at times “altruistic” (blue), or “analytic” (green) will lead to better results. I’m also glad to have had the chance to actively learn from my group mates’ experience of working with me; an opportunity I have never before had in the workplace. So with pride, I announce that I am a Red-Blue Peacock-Dolphin.